As a copywriter, I face a hard time explaining what I do and how I do it. 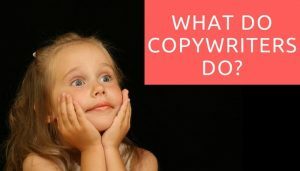 Many people just don’t get what do copywriters do, how they are different from marketing representatives and how they are helpful to businesses. It is a fact that we all come across the work of copywriters through different mediums throughout our day. The newsletter you received in your inbox, an ad in the newspaper, the mantra of your favorite brand, and even the blog you are reading right now, these are all the works of a copywriter. People all over the world often get confused between the job role of a copywriter and any usual content writer. Many business owners still fail to understand the importance of good copywriters and how do they bring you business. Read More: How Convert Your Users into Your Content Writers? So What do Copywriters Do? Copywriters craft content that attracts and converts leads. A copywriter creates content that engages the reader, gives them some value and in turn helps in improving the marketing communication of businesses. Writing a web copy is different from writing newspaper articles or novels. A web copy aims to steal the audience attention. Keep it throughout the article and let the reader leave with a value. But make no mistake this job is not easy. The average attention span of humans is 8 seconds, that is one second less than that of a goldfish. This itself explains the complexities involved in attracting attention. The job of a content writer involves research about the company, market analysis, crafting content, promoting content, analyzing results, strategizing and a lot more. It involves so much work that it is best to describe it with a JD (job description). To explain in detail about what do copywriter do, here is sample job description of a copywriter who is employed at a digital marketing agency. The roles and responsibilities vary according to the company’s structure and industry but many key responsibilities remain the same. Thus, this should suffice in explaining what does copywriters do. As a content writer, you are required to frame the content strategy for the business, work in collaboration with the marketing and sales team and aim towards achieving maximum ROI in marketing with your content. Write content for the company website and as well as for the clients. Manage client relations and ensure that clients remain happy with the company’s marketing services. Research for keywords that can be used in articles in order to rank them well in SERPs. Create marketing collaterals like eBooks, case studies, and white papers. Research about the company’s products and services and find out strategies to communicate them to the prospective clients. Write advertisements and social media posts for the company so as to bring better engagement online. Proofread existing and new content to avoid possible mistakes like grammar errors and incorrect facts. Write email copies for both outbound and inbound marketing campaigns. Lead the creative team and the designer to create engaging pieces of content. These can be advertisements in newspapers, magazines, websites and search results. A copywriter crafts content for both text based ads as well as visual ads. Emails written by copywriters include both outbound and inbound emails. A copywriter creates emails so that people open, click and reply to the emails. eBooks are detailed guides on a particular topic. Nowadays eBooks also involve a lot of design elements thus, copywriters need to work with the designers as a team. Case studies are client reports and marketing collaterals describing company’s work for a client. White papers, on the other hand, are authoritative detailed guides written to describe or solve a complex issue. Press releases include both the PR pitches written to interact with the media companies and influencers and content describing company’s activities to attract media attention. The presentations are another form of marketing collaterals and content that you find online. Copywriters decide the content that goes into such materials of the company. Slideshare is also a popular example of online presentations written by copywriters. Copywriters also post content on social media sites to create brand engagement, awareness, and authority. It is also important for driving visitors to the websites from social media sites. 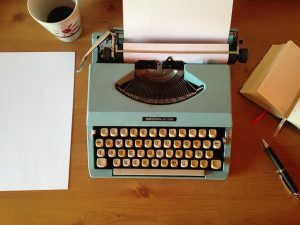 How to Become a Good Copywriter? Today copywriting involves more than just exceptional english. On the internet, we fight to get the reader’s attention, keep it throughout the content and then aim to make him take the desired action. In order to achieve that copywriter needs to become a good marketer. He needs to research about his readers – their likes, dislikes, preferences, problems, and more. Along with this, he needs to have a good knowledge of on-page SEO (Search Engine Optimization), social media, story writing, a little bit of analytics etc. While nobody can become an exceptional copywriter in a day but it is easy to start if you are passionate about making your career in this field. The best way to start is to know what do copywriters do and decide from which section you want to start. You can first develop expertise in one type of content like blogging or social media articles which are easier to start with and as soon as you feel confident enough, you can begin learning other more complex writings like creating a brand mantra. We have nothing to do with copyright laws. We are not lawyers. A copywriter is different from book writers. Though we write stories in our content, the way a book is written is totally different from that of a blogger or copywriter. The number of words is a completely wrong way of measuring the skills of a copywriter. It actually involves more effort in writing a 3 words brand mantra than a 2000 words blog article. Copywriting involves more than creative writing. We do a lot of market research and analysis of our previous work before producing any new piece of content. It takes experience and passion to succeed in this field and none of these come overnight. So here we have the answer to the common question – what do copywriters do. 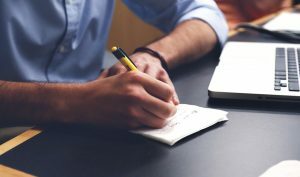 Copywriters are an inseparable part of your company’s marketing team and you should always know they kind of effort that they put in their work. I read this post and I am amazed by this information. Realy it the best guide. Today, I have read again and gained some good point how to apply in Digital Worlds.